The wild striped bass is under more pressure than ever, and Stripers Forever, a free membership, internet-based organization, is fighting to end commercial fishing for wild striped bass and to manage the resource for personal use/recreational fishing. They need as many members as possible to show the politicians how many people depend on striped bass for recreation, food, and income. Membership is free – no dues. There are no meetings to attend. Everything is done via the internet and e-mail. Select Become A Member from the top of the page. Fill in the easy to follow sign-up sheet and submit. This is a critical time for striped bass. SF is preparing for the introduction of their Massachusetts bill to make striped bass a game fish in the upcoming legislative session. They will need every member's help to make this a reality. Help Stripers Forever successfully advocate to protect the wild striper by making it a gamefish. This is a good reminder for all of us who fight the good fight to save wild fish. 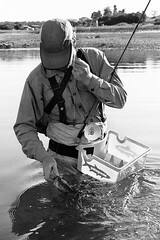 I have been so focused on Steelhead that I haven't paid a lot of attention to the other species lately. I'll be joining "Stripers Forever" right now. Thanks for getting involved TP. Every member makes a difference. fantastic blog friend i intro in blog more time ok, bye from spain. Thank you for the compliment Javi. Happy Holidays from Way Upstream. To our knowledge this is the first time in the history of the Commonwealth that such a Bill has been initiated. If passed, this will be a tremendous step for the conservation of stripers to the benefit of the fishing public and the recreational fishing industry that they support. There will be more specific information regarding the Bill [content/specifics, sponsors etc] available as soon as we can get all the information put together. Look for more details shortly. This is just a preview FYI......... WE ARE MAKING PROGRESS. Soon it will be your turn to get involved. This is happening RIGHT NOW and the filing of this Conservation Bill is groundbreaking! Now we just have to get together to see that it gets passed. Thank you for your continuing support for a commercial free striper fishery. Here is a matter of the greatest importance for the future of striped bass. Representative Richard Roy of Milford, CT has introduced HB #5506 which would overturn CT’s long-standing game fish law and make it legal to commercially fish for striped bass in CT! This would certainly be a blow that striped bass don’t need, and it would make it much more difficult to finally achieve the coast-wide game fish status for striped bass that Stripers Forever is working towards with its Massachusetts game fish bill. We understand this bill has been introduced largely to reduce the number of striped bass in CT waters so that they will not eat all the lobsters. According to a 1999 study by the Univ. of Conn. the lobster population crashed from record high numbers – that coincided with record numbers of striped bass – because the waters of the Sound became too warm. We urge all SF members to do their utmost to defeat this bill. Send Representative Roy both an e-mail, a postal letter, and make a phone call to his office today. Let him know that you live in CT, that this bill will be very harmful to the sport that you love and to the recreational industry in CT that depends on good striped bass fishing. Tell him that you want him to withdraw this legislation today. 1. The striped bass are already under too much pressure. Fishing quality is already substantially worse than it was 5 or especially 10 years ago. This is reducing fishing participation and harming the guiding and tackle industry. 2. Commercial fishing has been shown to create an illegal market in addition to the legal one that puts far more pressure on the resource than planned. 3. The State of Connecticut has no commercial quota for striped bass and any such quota would have to therefore come by reducing the current recreational season and/or bag limits which are already very restrictive by historical standards. In 2003 CT had 473,000 marine anglers, 212,000 of whom primarily targeted striped bass. This legislation would be unfair to them since it would give a very few people a disproportionate share of a scarce public resource. 4. Professionally produced socio-economic studies have shown that recreational use of this resource is many times more valuable than commercial sale in terms of economic activity, taxes generated, and jobs created. 5. The State of Connecticut has a strong warning against regularly consuming striped bass taken from Long Island Sound. These fish should not be sold to consumers. 6. The University of Connecticut has determined that the lobster problem is due to water temperature issues and not predation by striped bass. 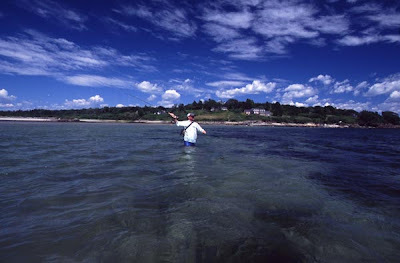 Before warming temperatures in the late 1990s record numbers of both lobsters and striped bass coexisted in the Sound. 7. Since 1980 Maine, New Hampshire, Pennsylvania, South Carolina and New Jersey have made striped bass a game fish protected from the pressures of commercial fishing. Legislation is now pending in MA to accomplish the same thing in that state because of the points made here. CT should not overturn years of positive precedent in the conservation of striped bass. Remember: E-mail, and Write, and Phone Call! What else can you do in addition? If you are as upset with this as we are, take the same steps above with your local legislator – and if you know them by all means go see them – explain your concerns, and ask them to help you convince Rep. Richard Roy to withdraw this legislation as soon as possible. While we urge you to use your own words, please…do not be insulting or negative towards commercial fishing or to Representative Roy. Dwell on the facts above and the benefits of a robust recreational fishery for striped bass. 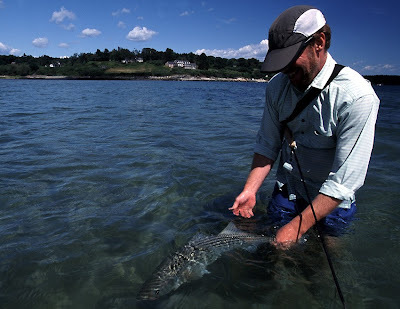 Representative Matt Patrick of Falmouth, MA has introduced The Striped Bass Conservation Bill, HD 245, now on the legislative docket in the Massachusetts House of Representatives. The docket can be viewed at this address http://www.mass.gov/legis/bills/house/186/docket_bill.htm; just scroll down to 245. The language of the bill and the reasons that we support the bill are posted on our website under General News at www.stripersforever.org. Stripers Forever has retained one of Massachusetts’ top lobbying firms to help us pass this legislation, but we will need everyone’s support. Right now we are asking our members to take just a second and send Reprsentative Patrick an e-mail and in your own words thank him for taking this important step towards conserving striped bass and protecting the future of saltwater recreational angling for current and future generations of fishermen all up and down the East Coast. Matt Patrick’s e-mail address is Rep.MatthewPatrick@hou.state.ma.us. All members of Stripers Forever should thank Representative Patrick. Striped Bass know no state boundaries, and the great number of breeding-age female stripers that are killed each year by the MA commercial fishery effect the fishing in all states along the striper's migratory path. Please contact Matt at your earliest convenience. Thank you.